Police need help locating a missing St. Louis County woman. Phoenix Coldon, 23, has been missing since December 18th. Her family says the last time they saw her was when she left their home near Spanish Lake. Coldon is African American with a light complexion and was last seen wearing sweatpants, a black or blue hooded sweatshirt, and tennis shoes. Her car is a 1998 four door Chevy Blazer with a Missouri license plate KE2-S6V. There is a current alert regarding Phoenix Coldon who has been missing since December. Tarot might be able to give a few glimpses past present and future and I will write what I have in the hope that it might help. Please go to other sources for factual information. Accordiing to my first card Phoenix had an unexpected message or phone call . It does not seem to me that it was negative either because this is a playful happy card and seems to be promising love and emotional matters. It might be to do with someone younger then her but Im seeing a lot of emotional freedom in this card and some wonderful plan or idea. It is connected to her home town so suggests her hometown as place of origin for her disappearance. There could have been something turn up about a baby not just a child but Im seeing something to do with a younger person here and possibly some connection to the family. Maybe they had a problem, or they did but at first glance it did not seem a bad card it seemed a familiar card so someone perhaps she knew that gave her a message email or phone call? This is a WEST card but she could be coming from the West and going East - I do see a car in the picture and that appears to be the directon of travel. I seem to see a friend/or someone she knows and travelling perhaps towards them. I see a man maybe up to 30 or 32 and I seem to feel she has some kind of connection to him or a relationship. Was this lady pregnant? Alternatively she could have been travelling to meet with someone to offer them some advice or emotional support or them to her. I just see someone who wants to 'help someone out'. So my thoughts are that she likely went off on her own in this respect. It could suggest that she has gone off with them for a while. I dont see negative things in these cards but if there was anything to be weary of its whether or not the possible guy I see is really as nice as he seems. If he turns out to be a bad guy, then she should have checked her plans out with a third person first as if the negative side creeps in then she could be in trouble. But, initially and on the surface of it I have given what I see was the reason she seemed to vanish. I am getting the impression in this card of a working environment. It is a number 5 card so five may be part of a route or number to note. This is normally a North card in direction but it is turned on its head which makes me wonder if we have to think of the word SOUTH also? I see a lack of money in this card and possibly some business premises - maybe even a connection to an office? Im not sure if the building is open or not or whether it is abandoned or closed? Sometimes this card can tie in to churchs or charity places, missions or salvation army. I seem to see some trouble in a relationship. Snow is often given with this card but there is 'no snow' whatever that means. Perhaps the relationship thawed ? I wonder if someone was in debt or owed some money? I think she is abandoned outside a building. There might be school names in the district . I feel maybe she has had something taken off her. This card has a 12 so Phonix MIGHT be found in around 12 weeks though this is not definite as sometimes Tarot gets that slightly wrong, but this Knight is showing her car being found and the end of the arcana is 14 so I hope this could stand for weeks and maximum around 14. It is not really thought of as a year card but it does seem to suggest escaping things. I have South West on this card and looking back on the Tarot I feel the 5 of Pentacles might have been giving us South West as our people are facing that way so I might suggest that. There might be a red vehicle on this card so I will pass that on and also again a man of the same age that I have mentioned before. In this card I see a very fast car and often this person can give a lift to someone. I am feeling that facts are hidden about Phoenix who might not have wished to disclose some things about herself. This is a quick, swift and hasty card, so maybe the timing might be right and she could be found quickly? I do hope so . There are no guarantees with Tarot but sometimes it can be very useful in situations . I think someone is going to give a phone call or a message about her. We shall have to wait and see though. This is a very brief outline for Phonix and if she is not found by the end of March then I will come back and look again as Im sure I could expand on this tarot in more depthI want to go back to the page of cups because when we move along it can take us to the Knight which is a water card . Knights are linked to Travel and this particular knight is also linked to horses or horse names. I had this come up before some time ago with Sian 0 Callaghan and she was found near a bit white horse chalk impression on a hill. Not that I am saying this about Phoenix but the same card also arrived for Karen Swift. What Im trying to decide is whether there is a horse connection here because its possible. Maybe a name or things to do with horses tack like bridle, or horseshoe anything of that nature. So Im going to venture on that just in case it is useful. You never know. This Knight card might take us to a lake with a boat. Or even without one but it often suggests a trip to a lake over terraine and water places. Here we also have a sense of 'music' which shows up and I cant put that into sense but I do see a red boat which again might have some kind of symbolic meaning, a large rock of stone and there is a ring here. When I get ring I cannot decide if it is a ring of people or a ring in jewelry. But if it was jewelry it could be a ruby. There is something spiritual along this run. Something ecclesiastical - I would think of the word church but at the same time I m getting batchelor or even something priestly. I still seem to have the Town of origin marked out for Phoenix but I see her home 'behind her'. Theres a sneaking suspicion with the wands cards that I can still see links to Stacy. I think I might like to draw a couple more cards. I have been given this card to reconstruct once more the happenings or events of 18 december 2011 for Phoenix. Well this doesnt look good does it. Here we have someone who is commanding respect and in a very tyranical and demanding way. Being abusive and overbearing. This card is a tricky one for a person because it is telling that they are biologically attached so it would,nt be a natural parent, it could be someone who is a non biological parent, or a boss or someone in their life having a huge temper crisis. On the other hand, this could be a vehicle in an accident or stopped at a point. There is a number 4 here so will point that out. Generally this looks like family or friends interference and possible stalker or a third person involvement. Number 4 to remember. Someone who should be in trouble but they are not picked up on seems to show here , some kind of legality debt or some problem coming up being stuck in the middle of something is possible. and something about the truth probably coming out. I see items either being strewn or lost or even pinched but something appears to be lost here items of some description. These cards are just linking up with Stacys cards. It may be an entirely matter but it just keeps closing up together and I wanted to make sure that there was no link or no lapse in my concentration. Anyway again Im seeing someone hidden away. I have that church name link and I dont know, is she underground or near the earth or laying on the ground? Its just peculiar. So if I leave that for a moment and slot into location to see whether there are any changes there. In the Emperor there is a lack of confidence and ambition maybe if it had nothing to do with vehicles its a person that can silence you. Alternatively there could a motor problem and tools needed to fix it but I waver at the moment. A car place perhaps? Red is the colour of the emperor. I feel as though someone is saying 'theres no rules' maybe someone is saying there are. Or maybe imagination takes over a tired mind. Its like watching a film and you can see this film maybe four times? You just stop breathing or respiration is hard. One can be unseated or even thrown out of a car. This Emperor is a tough card. It is even worse in business because one goes, they all go. The emperor could be battles with father , troubles with officials , having some enemies. Someone losing control or a very dominant person here. Ive got something about a window here which just might mean a sighting in March.? Location is pointing to home town - place near water. Phoenix does come from Spanish Lake so I dont know it is giving me original home here - I have some kind of weird behavour in so much that there is a lot deception in personal and business relationships here I feel like what was or appeared to be all good is starting to the opposite notice this card again deciding to present itself in a negative factor. But this shows a person who is alone.or retreats from society. So may a retreat? lots of emotions somewhere perhaps very close to water on top of water so water name in the place or actual water nearby. Also a number 11 and that makes me think its connecting back to 11 which is the year that Phoenix disappeared so Im not sure if Im being pointed back to her home town. The knight of cups could be a negative card, it is again possibly showing a lover who seems charming and nice or someone she knows she might have wanted to talk to about something and then found unsympathetic. If there are children emanating in any way theres some kind of a negative on that - Im feeling that this girl feels smothered . Maybe she feels 'shes not a kid' or something to do with a kid? younger person? I just seem to see everything I saw in the page of cups but in a more negative light and Im linking her around that person or situation as to where she might be. Bridges water trees island Pine gossip and slander something linked to past October broken relationship disunion but taking a chance on something and going off whatever. Nun nunnery, convent, church I really dont know what this is its really bizarre. I hope its really simple because then I can just take it on the chin that this is just a difficult night and Im probably not focusing correctly. I would have though LAKE is in thiese cards or not far. Did she do something that was hey 'suicidal' that seems to be here yet I dont really see that in her maybe mixed messages? But there is also something a bit seedy about the page of cups reversed because there can be paedophilia tendencies in this card and of course I would have to be careful to even suggest that that would only be possible if there was man who was incredibly strong in the cards but Im seeing something about youth and something young and I can the situation I saw in the first card for Phoenix which must be long to her and maybe I should have trusted it because after all it is here again. So we are given the number 11. Maybe something to do with children or youth and water and some kind of immaturity. I did make a suggestion about pregnancy not sure if she was pregnant but if so theres been no news to her family that I can see. This is a card that is giving bad news or tricky news. There is a kind of 'peter pan' connection. Off that card for a moment - but before I do I just see deception by somebody perhaps Phoenix was coerced into something? The direction I have had is West or some connection to the west and possible East involved, with this reversed it could take us in the opposite direction or offer us road names of opposite direction. Heres another find card. Im seeing her next to water or place with water. She does not seem to have left that water place or named place. There is an 8 on this card which could play a part . If I put them together we could have something like 5. which takes me right on this spiritual thing again. A KEY/QUAY name or keys and a map and two other people. Some kind of mentor or teacher, spiritual organisation, schools clubs some kind linking to a group. 5 is the Number here overall but the find card shows us an 8 so routes, roads these can all play a part in these numbers. A sense of feeling drained a sense of not being at home or things wrong at home or not being able to be with someone and cant live without them - perhaps 8 miles from home? I cant be sure but Im feeling down on this card. Its like she felt she could not go anywhere and a water name is her location I think. The 8 can signify a date to find her or perhaps there is a short delay in this. Generally this card tells us under 8 days but I dont bank on that. So that is the extra that I have for Phoenix. Im sure I will go away and know I have forgotten something here but if I do I will mention it. I have no idea how this is going to pan out. On the one hand things seem positive and then theres a whole load of other stuff taking off. This just could be completely emotional but I just felt there was a sense of 'no going back' . I hope Im wrong as I felt she would be found. There is one thing that could come up and thats drinking or taking something but it may not be Phoenix herself. Thats all I have for now and I accept that some details may not be quite right but we shall have to see how Phoenix is linked and only time can tell. NB: Quote from link above: THIS IS EXACTLY WHY THIS SITE PUTS OUT MISSING ALERTS BECAUSE IT IS IMPORTANT TO USE EVERY MEANS POSSIBLE TO HELP BRING CASES TO ATTENTION. "Phoenix Coldon's mother said the family also has had a difficult time getting media attention for the case. 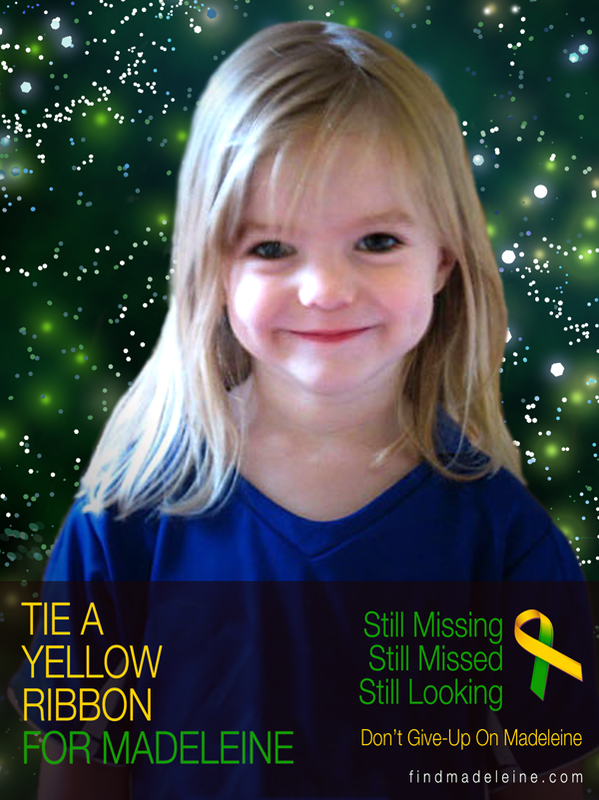 The Huffington Post learned of the disappearance in January and covered it, but few other outlets have reported on it." There may be other factors that need to be considered for this , but this is a preliminary map. I have noted your comment. There are many pending cases right now and I must give some priority to them. I will do what I can though. Leave it with me and I will see if we can a map here. Hello. Any updates on a reading on Phoenix Coldon? She's still not found. Thank you. What An Awesome And On Point Reading. This Coming From A Person (Myself) Who Has Felt From The Beginning Everything U Touched On. You Really Have A True And Honest Gift. Thank You.. Thank you for your kind comment. I hope something can come from the Tarot to help Phoenix. That was 3 years ago and she still hasn't been found?????? There are many people who have not been found - all one can do is hope and a delay is clearly indicated. you mentioned about a car being found; were you referring to her own car? could you do a card for William Christopher Delk missing since 1982; and Sharaun Taree Cole also missing since the 80's. I think both are deceased; but you can tell me more. I think those missing since 70's and 80's should get a reading. Many could probably be deceased and closure should be given to their families. Thank you. Would it be possible for you to do readings on Brandon Mason Lawson and George Tony Sandoval? Their disappearances are very puzzling and troublesome. Thanks! There is a delay because the police are waiting for some one to come forward with information regarding the case. Note: phoenix parents went through her roomm and found a letter or note that she (phoenix wrote). Her mother says it look like it said this: We think you need to make up your mind what you're going to do before 2012 or else I'm going to have to show you what I can do about your parents. The night before her disappearance she had a lengthy conversation with her boyfriend. I believe about 1 1/2 or 2 hours. The next day spoke with him again about 6 minutes. Now what her parents are trying to figure out is if someone else used her boyfriend's cell phone to speak with Phoenix and threatened her. Another thing to add Phoenix boyfriend wanted nothing to do with finding her and Mrs.Coldon claims the boyfriend's mom threatened her. I found it akward that these people wanted nothing to do with jelping finding phoenix since they did know her and they showed angered and discuss. Instead of sympathy for phoenix parents. Can you update this reading?